Winter is about grabbing every available opportunity to get outdoors. 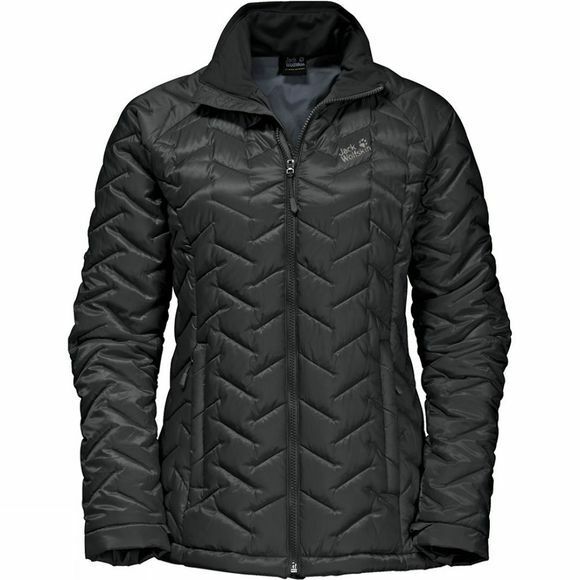 And that's where the Womens Icy Creek Jacket from Jack Wolfskin comes in–a winter sports jacket with a system zip and advanced wicking performance. The innovative synthetic fibre insulation is very warm and wicks moisture quickly to the outside. The windproof shell fabric boosts the jacket's thermal performance by limiting the wind chill effect. Wear it as a standalone jacket or as part of your layering system. The system zip makes it quick and easy to zip it into a compatible outer jacket.